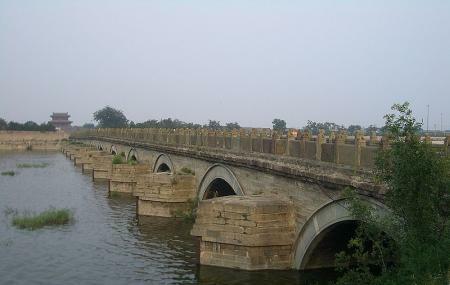 Marco Polo Bridge is a famed stone bridge in the southwest region of Beijing’s center. The picturesque bridge has the Yongding River flowing under it and makes a good spot for photography and sightseeing. The construction of the bridge had begun in 1189 during the period of Shizong of Jin's reign. The stone bridge is 266.5 meters (874 feet) in length and 9.3 m (30.5 feet) in width. Be careful on the sides of the bridge. How popular is Marco Polo Bridge? People normally club together Collections Of The Palace Museum and Shichahai while planning their visit to Marco Polo Bridge. Very nice and clean. So many photos and good place for walking. Beautiful bridge. Great picture spot if you have the time to fit in to your travel schedule. Where the Sino-Japanese War begins.